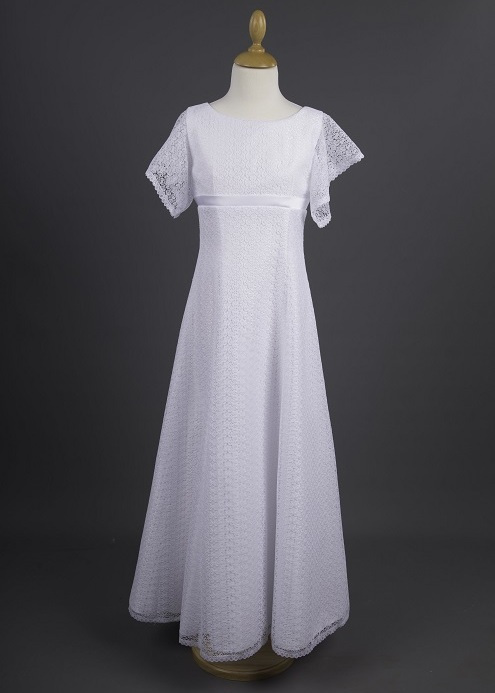 Girls white fluted lace sleeve communion dress named Ciara by Millie Grace, perfect for her holy communion. Ciara Dress: A stunning classic style, this satin empire line dress has an overlay of delicate floral lace with a satin band to the centre. A beautiful trim edges the fluted sleeves and hemline, with small satin buttons that sit on the zip at the back.